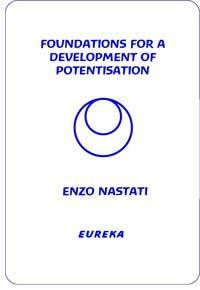 In the 1980's we were motivated to study homeopathic potentisation because we observed that there was no existing and sufficiently effective practical method to help plants and soils connect with the forces of Life. Indeed, most agricultural systems only exacerbated the disconnection. We knew that two main schools used potentised remedies: homeopathy as founded by Samuel Hahnemann, and anthroposophical medicine developed along lines suggested by Rudolf Steiner. So we began traveling along the paths defined by these two schools, but very soon had no choice but to forge our own way because neither were effective enough in the mineral and vegetable kingdoms. Both these practices were tailored to the requirements of humans who, we need hardly emphasize, are so very different from soil and plants in being the bearer of a soul and, above all, of a self-aware spirit. Moreover, to use homeopathic products made for humans on plants and soil would have involved excessive and unfeasible expense. We would, however, wish to make it very clear that our assessment of the insufficiency of the remedies and preparations does not extend to the principles on which these two pioneers have based their work. However, the technical aspects of preparing these remedies were designed for the requirements of very different beings from those we wish to address ‚Äö√Ñ√¨ those of the mineral and vegetable kingdoms.